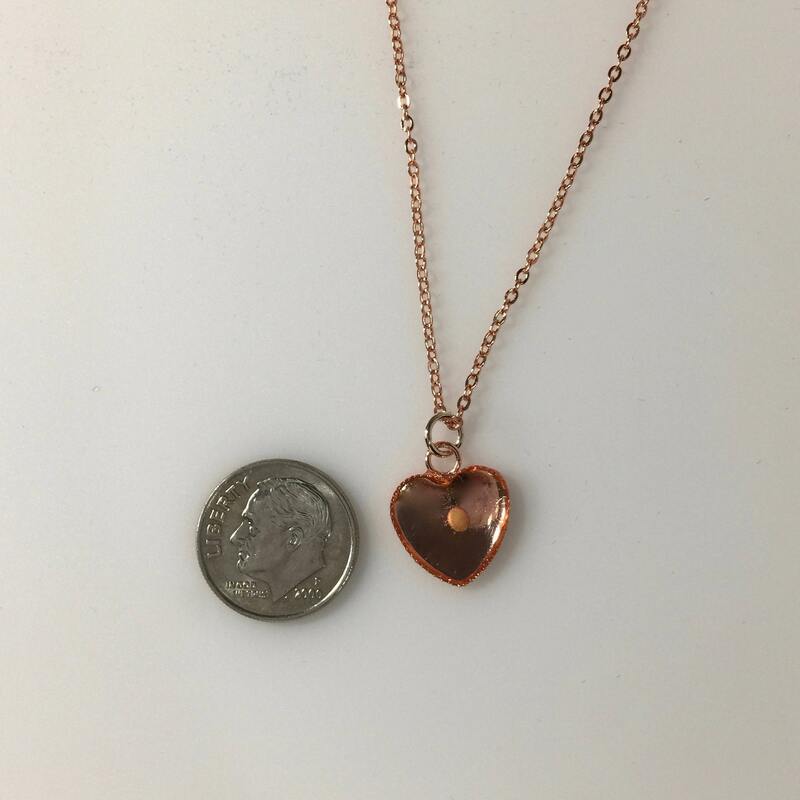 Rose gold heart pendant with mustard seed setting and delicate rose gold chain, Mother's Day Gift, Easter Gift, Gift for her. 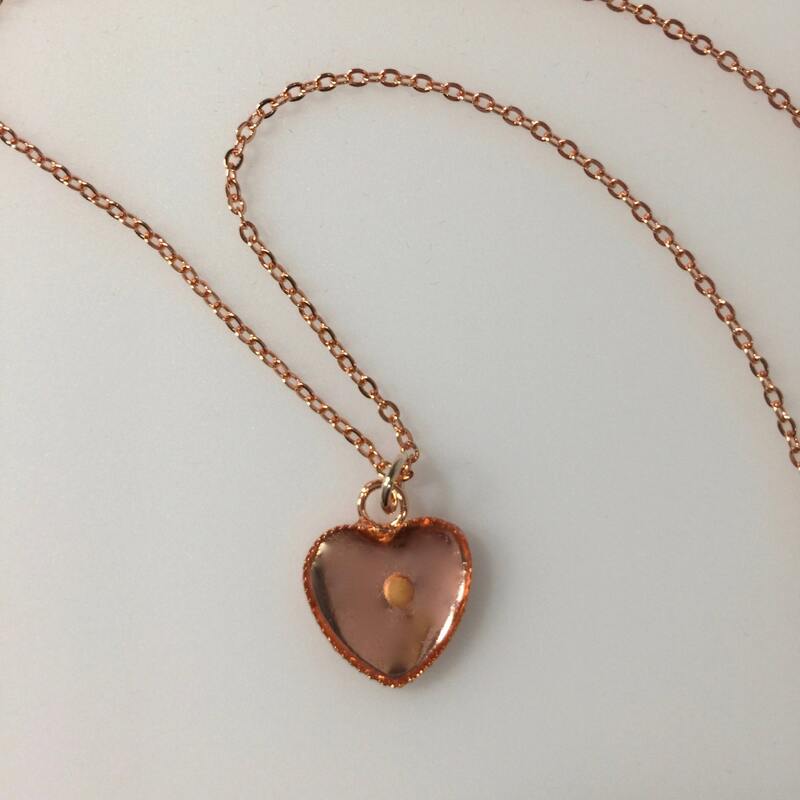 This is a petite necklace with a single mustard seed sealed in jewelers grade resin inside a rose gold plated heart with a delicate 18" rose gold plated chain. The heart is tiny, only 1/2" around. 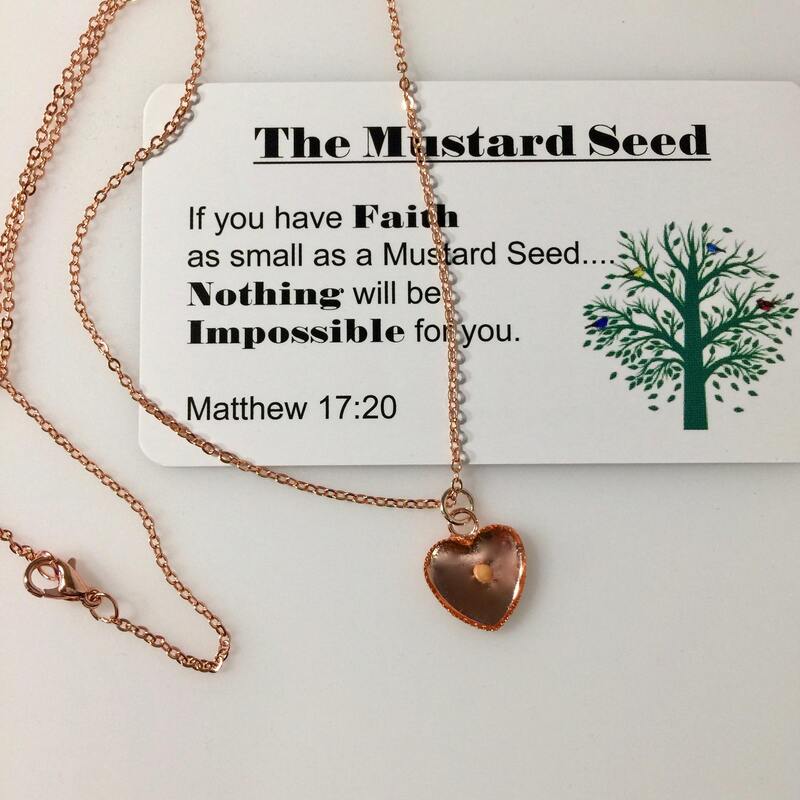 This is a pretty, yet meaningful necklace which reminds us to think of the possibilities we have if we only have the faith of a mustard seed. 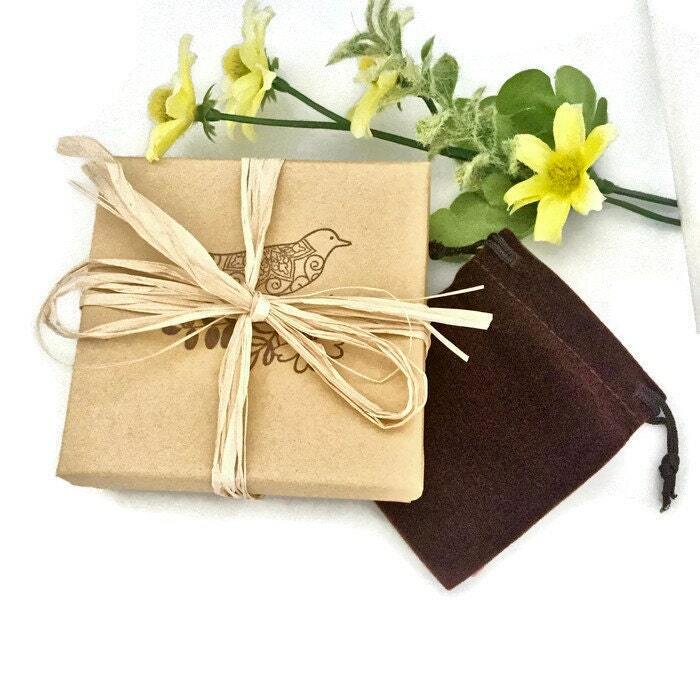 The mustard seed is sealed and protected by the resin, however with all delicate jewelry this necklace should not be worn in the shower or while swimming. So thankful I received this package. It is beautiful in person. She's great to support. 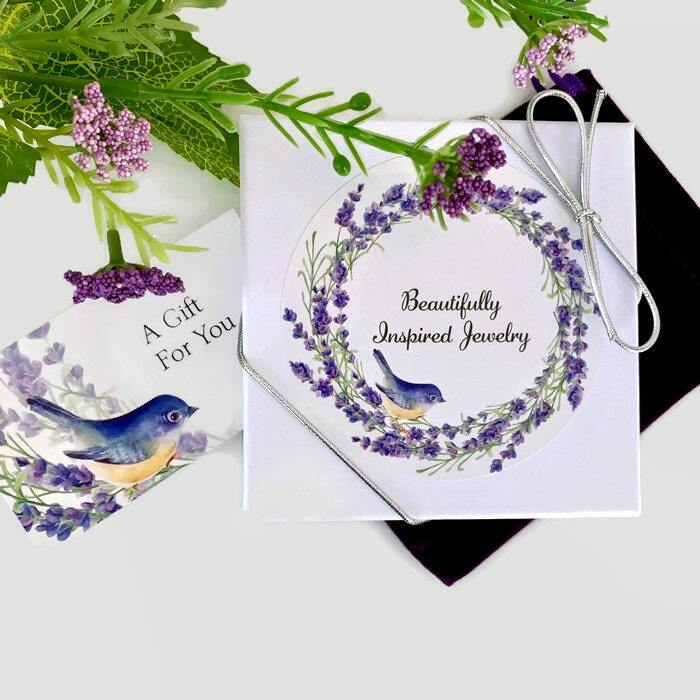 Lovely necklace! 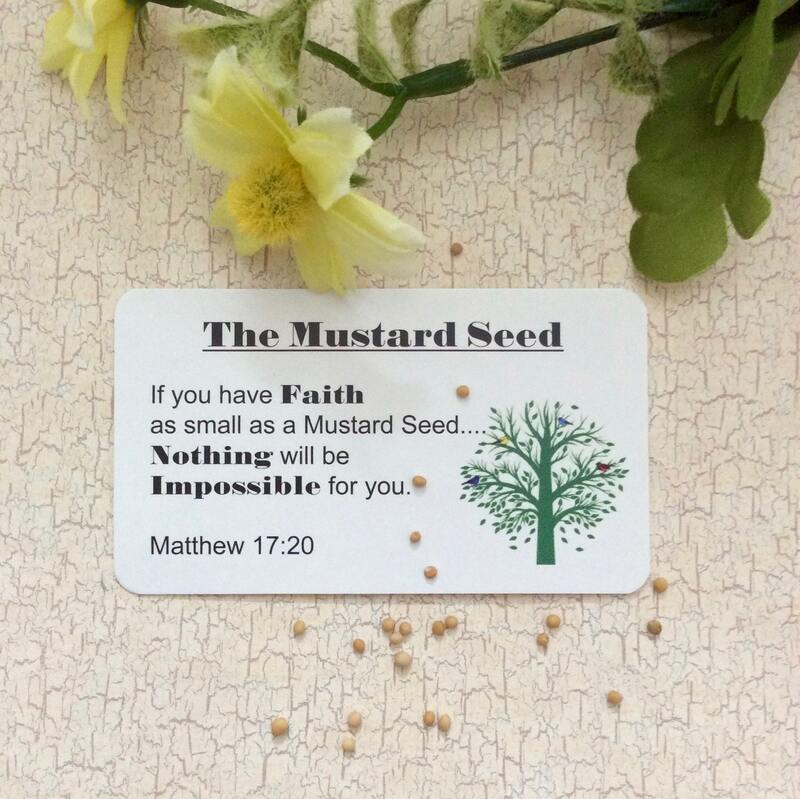 I purchased this for a friend having health issues...the mustard seed has much meaning for her. She wears it all the time. Messaging back and forth with Belinda, the shop owner, I could tell she is kind and encouraging. I appreciated the time she took to message me back and the warm words she shared with me.